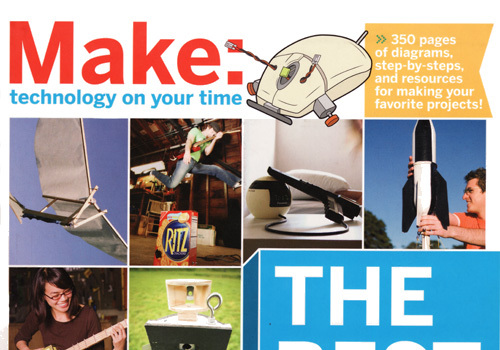 We are honored to be in the Best of Make! After two years, MAKE has become one of most celebrated new magazines to hit the newsstands, and certainly one of the hottest reads. This book contains the best DIY projects from the magazine's first ten volumes -- a surefire collection of fun and challenging activities going back to MAKE's launch in early 2005.